One World Centre works collaboratively with, and is supported by, a range of groups and organisations to promote global citizenship, sustainable development and partnerships for the Global Goals. The Sustainable School Initiatives – Western Australia (SSI-WA) is a whole-school planning framework that promotes and supports the use of sustainability as a key context for teaching and learning in the classroom and in whole-school projects. The One World Centre is a member of the Sustainable Schools Alliance WA, a collection of organisations that provide support and resources to schools seeking to be more sustainable. Little Green Steps WA (LGSWA) supports Early Childhood Education for Sustainability (ECEfS), which equips children with the tools they need to actively contribute to a healthy, safe, sustainable future. LGSWA works with early childhood educators to equip them with skills for embedding sustainability in the education and care of young children. In addition, LGSWA enables access to an extensive range of educational resources and networks to support local communities to work towards our common goal: giving children the confidence and skills to have a positive impact on their lives and their environment. UNAA WA supports global citizenship education (GCEd) in WA through school programs which enhance students’ understanding of the UN, human rights, social justice, environmental and community development issues; and their roles in building local, national and international cohesion. Member schools belong to WFUNA – a worldwide network of like-minded people focused on global citizenship and the UN. More about UNAA WA progams for schools here: WA Programs for Schools and GLOBAL CITIZENSHIP SCHOOLS. The Curtin University Learning Futures Network aims to create the social infrastructure, resources and context to develop more authentic and future-aware processes to support transformation and collaboration across student learning, school and staff development, and connections between and across higher education, industry, cultural and community organisations and the public sector. 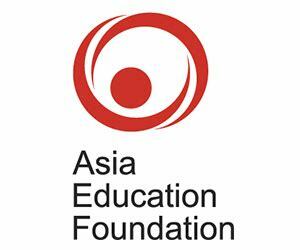 The Asia Education Foundation (AEF) provides school leaders, teachers and students with curriculum resources, professional learning, innovative programs and networks to develop global competency skills for Foundation to Year 12 students in Australian schools. Environment House aims “to both ‘walk the talk’ and ‘talk the walk’ on climate protection, river & wetland care and other sustainability issues”, and are committed to protecting and restoring the natural environment of Western Australia through community education and involvement. OWC’s community projects are LOTTERYWEST SUPPORTED!